Hundreds gathered for a public memorial and concert Thursday for popular Dallas DJ David "Kidd" Kraddick. Kraddick, host of the nationally-syndicated "Kidd Kraddick in the Morning," died suddenly in New Orleans in July. 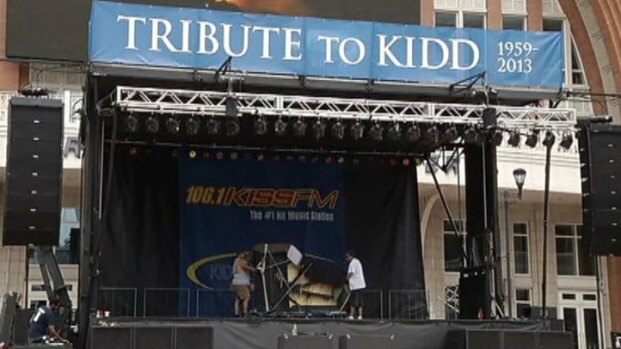 The public event entitled "Tribute to Kidd" celebrated Kraddick's life and his charitable work with his Kidd's Kids foundation. The event Thursday afternoon was held in the AT&T Plaza at the American Airlines Center in Dallas. Kidd Kraddick died nearly three weeks ago at a golf tournament benefiting his children's charity Kidd's Kids. 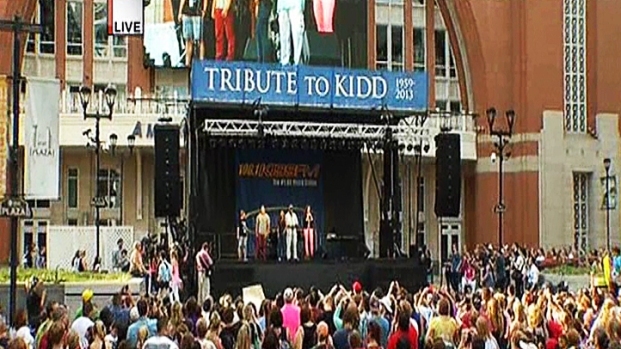 On Thursday, the public got a chance to honor Kraddick's legacy. Kraddick's daughter Caroline was present and sang at the public event, which will also featured musical performances from Ben Folds and the Jonas Brothers. The "Kidd Kraddick in the Morning" team also took to the stage to share their favorite memories with the crowd while videos showed on the big screens in the plaza. The tribute took place before the Concert for Kidd's Kids, which started at 7 p.m. at the House of Blues. The concert features the Jonas Brothers, Jason Derulo, Andy Grammer, Cimorelli and Tim Halperin. 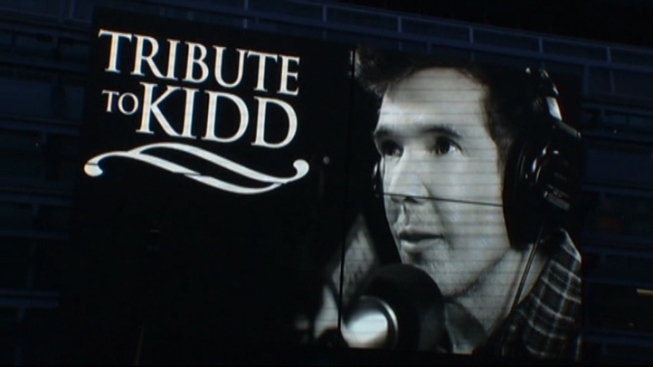 Hundreds of fans will gather outside the American Airlines Center in Dallas to remember beloved radio host Kidd Kraddick. Guests at the memorial event were invited to stay in the AT&T Plaza to watch a video feed of the concert. Video of the event will be streamed free on KiddTV.com (CLICK HERE).